Home / Happy Easter Holidays! In Sweden, Easter (påsk) is a big religious tradition when relatives gather together with good food and fun activities. Our common Easter celebrations include a “smörgåsbord” of various traditional Swedish feasts, a lot of colorful painted eggs- and feathers decorations and little girls dressed up as Easter witches with rags, old long skirts, colorful headscarves, copper kettle and painted red cheeks looking for candy treats. 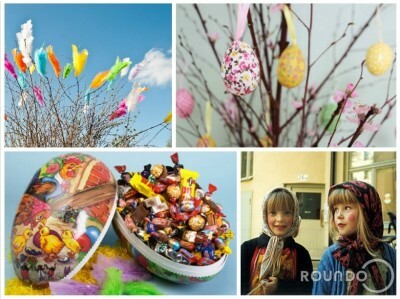 We at ROUNDO wish you Happy Easter Holidays! We will be closed over the holidays during 18-21th of April.